Firstly the wall sections are clad with a 12mm finished shiplap cladding. 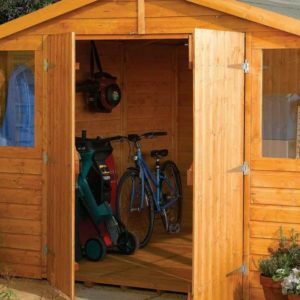 Constructed with a solid boarded roof, the workshop floor is made of tongue and groove (TGV) boards. 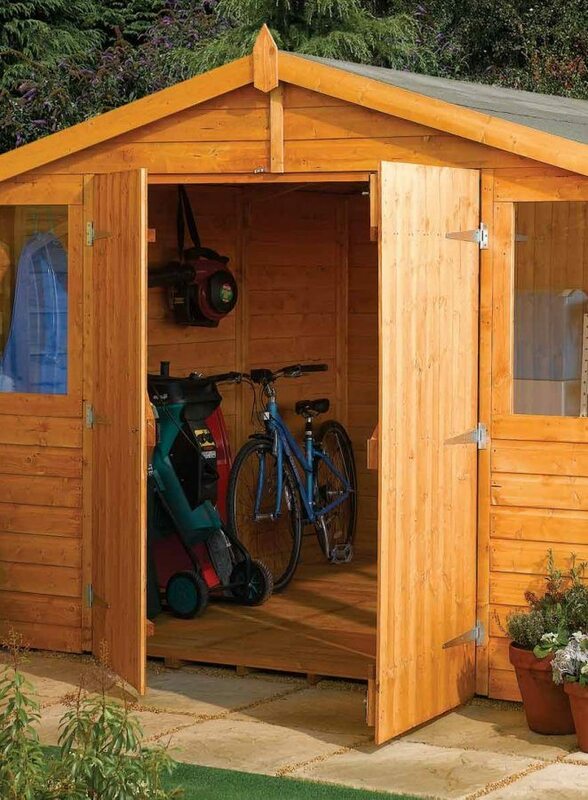 The double doors are secured with a lock and key (included) and both doors are fitted with three hinges each. These are sectional buildings, the buildings use 29mm x 35mm and 29mm x 45mm framing which become more rigid when the sections are secured to one another. The building is supplied with mineral felt for the apex pitched roof. 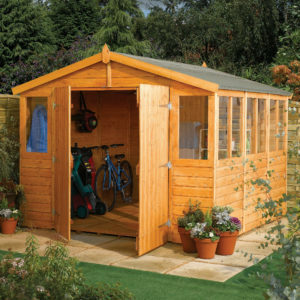 The workshops feature higher eaves than the larger Rowlinson sheds – this is to provide extra headroom. Finally, this workshop features six styrene glazed side windows and two front windows. 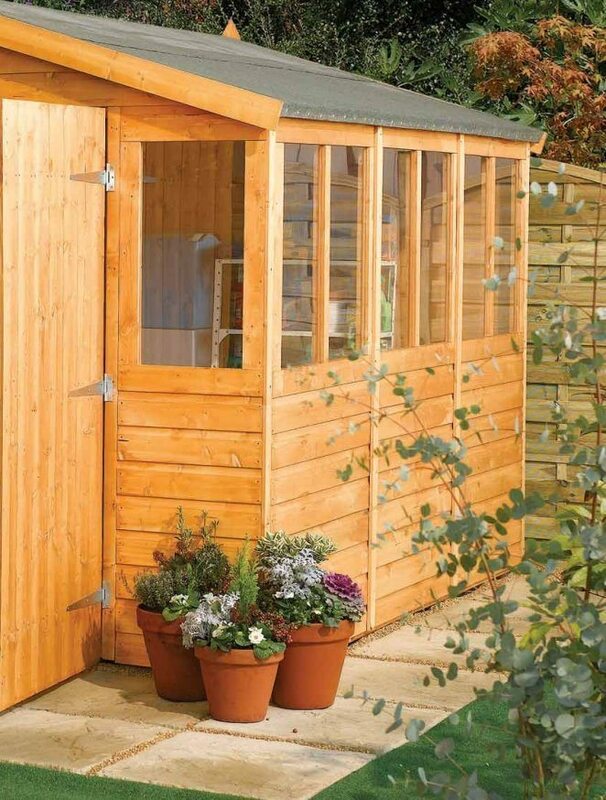 It is important (as with all timber buildings) that the shed is installed on pressure treated bearers to ensure the timbers are not in ground contact. More details are in the enclosed assembly instructions. 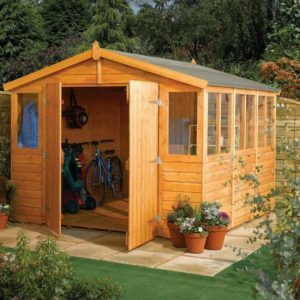 Finally please note this 9 x 9 Workshop is supplied with a dipped finish, and therefore the timbers must be further protected by applying a quality wood preservative such as Osmo, Sadolin or Ronseal wood stains.